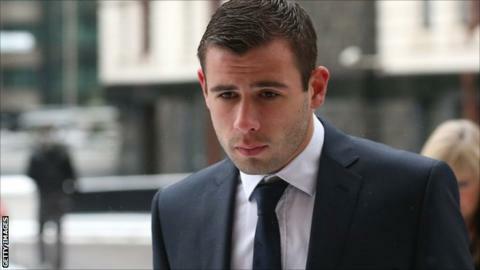 Bournemouth defender Steve Cook says the recent court case he was involved in has made him a stronger person. Cook and former Brighton team-mates Anton Rodgers, George Barker and Lewis Dunk were in court charged with sexual assault and voyeurism. A jury failed to reach a verdict and the prosecution are seeking a retrial. The 21-year-old says he has learned a lot, telling BBC Radio Solent: "I've realised a lot of things. I've become stronger as a person." Cook, who captained the Cherries at the weekend, admitted the past few weeks have been hard for him as the trial was ongoing. "It's been tough for me, I've learned a lot about myself," he said. "I've not been able to train for three weeks so the games gave me something to look forward to and seeing the lads was 100 times better." Victory over Portsmouth on Saturday saw the Cherries move to within one point of the automatic promotion places in League One. They have now only lost one league game in the last 20 - a run that has seen them climb from near the foot of the table to challenge for automatic promotion. And Cook says even though they do look out for other results, it is meaningless unless they win their own games and added they would only have themselves to blame if they did not earn promotion this season. "It's got to the stage that we are down to the business end of the season," he added. "We gave ourselves a lot to do and we are now back in the mix, and even though we say we are not worried about the other results, in the back of our mind we want them to go our way and over the past couple of weeks they have. "But we've just got to win our games. There is no point worrying about other results if we don't win our games. "We were in the bottom four and now we are one point off the top. But it's only half the job and if we falter now we've only got ourselves to blame."